President Donald Trump used his 2019 State of the Union address to promote right-wing media lies about state measures protecting abortion access. While media outlets struggled at times to properly contextualize and refute Trump’s misinformation, some outlets held Trump accountable by debunking his false, anti-choice statements and providing their audiences with accurate information about abortion. The morning after President Donald Trump’s State of the Union address, MSNBC’s Morning Joe not only promoted his misleading comments about abortion procedures, but the hosts also echoed weeks of sensationalized and inaccurate right-wing media coverage about support for state measures to protect abortion access. During his 2019 State of the Union address, Trump repeated talking points from a scandal manufactured by right-wing media alleging that Democrats support state bills supposedly legalizing “infanticide” or abortions “up to moment of birth.” In his speech, Trump said that a law in New York "would allow a baby to be ripped from the mother's womb moments before birth" and that a Virginia bill would allow providers to "execute a baby after birth." He called on Congress "to pass legislation to prohibit the late-term abortion of children." In reality, Democratic legislators in New York recently passed legislation to codify abortion protections from Roe v. Wade at the state level, and Virginia Democrats introduced a bill to remove unnecessary burdens to abortion access, which has since been tabled. In response, right-wing media have spent much of the past few weeks fearmongering about abortion procedures and spreading misinformation that Democrats are extreme for protecting abortion access. Morning Joe similarly misinformed viewers about polls showing support for abortions that happen later in pregnancy. Although right-wing media often claim that supporting abortion rights is harmful to the Democratic Party's electoral chances, this is an oversimplification. Polling on abortion-related issues is notoriously complicated, requiring clear questions and language that accurately reflects the realities of abortion access and procedures. Support for abortions later in pregnancy increases when people are provided context explaining that abortions at this stage are often undertaken out of medical necessity or in response to complex personal circumstances. 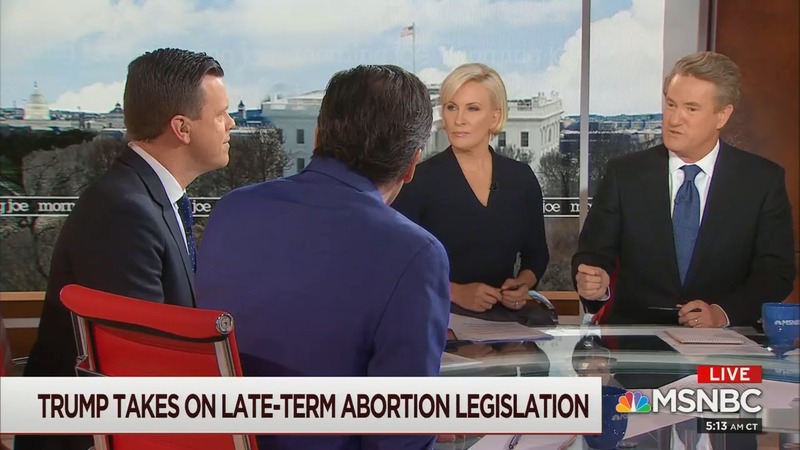 This isn’t even the first time that Morning Joe has uncritically adopted inaccurate abortion-related talking points from Republicans and right-wing media. During Sen. Doug Jones's (D-AL) special election in Alabama, a Morning Joe panel similarly attempted to make the case that Jones’ “extreme” stance on abortions after 20 weeks would ensure his defeat -- based, in part, on polling about support for abortion restrictions. They were wrong. JOE SCARBOROUGH (CO-HOST): I do want to just say for Democrats, because it hasn't been mentioned much in the mainstream media, and I’m glad you brought up the late-term abortion legislation passed in New York and Virginia. This is such a blind spot for Democrats, just like NRA actions after Sandy Hook, the video games and, again, refusing to pass any reasonable, rational legislation, painted Republicans as extremists. Democrats have a blind spot. They do not understand how out of step with America they are. Not only passing extreme late-term abortion legislation, but then celebrating it. It's a real blind spot for Democrats that will cost them votes in states they will need in 2020 if they don't recognize it as a national party. MIKA BRZEZINSKI (CO-HOST): Couple of other blind spots we’re going to get to. GEIST: -- to your point. SCARBOROUGH: -- by the way, guess what, that's about the same number that are opposed to background checks for terrorists and domestic abusers and all the others. Watch NBC political analyst Anand Giridharadas push back against right-wing hyperbole about "identity politics"
CNN and MSNBC spent a large portion of the first non-holiday day of 2019 talking about … Sen.-elect Mitt Romney (R-UT). Between 6 a.m. and noon on January 2, CNN and MSNBC each spent nearly an hour discussing Romney’s Washington Post op-ed criticizing President Donald Trump's character, while Fox News spent about 25 minutes on the subject. 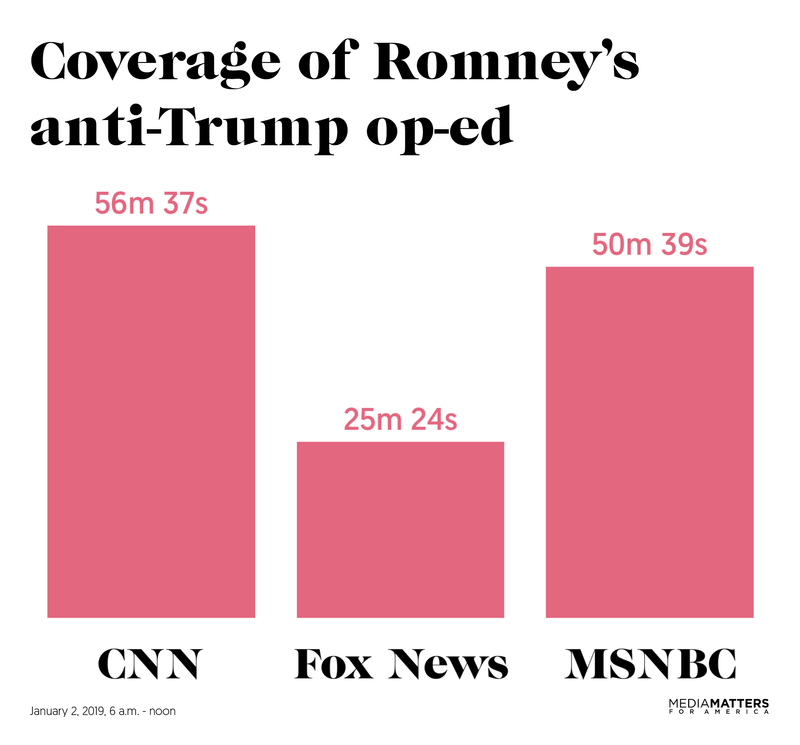 For those hoping the media would focus on the important issues facing Americans in 2019, the oversaturation of Romney coverage shows that getting their priorities straight might be a bigger hurdle for cable news than they expected. The cable morning news shows -- on CNN and MSNBC especially -- were quick to jump on the topic the following day. 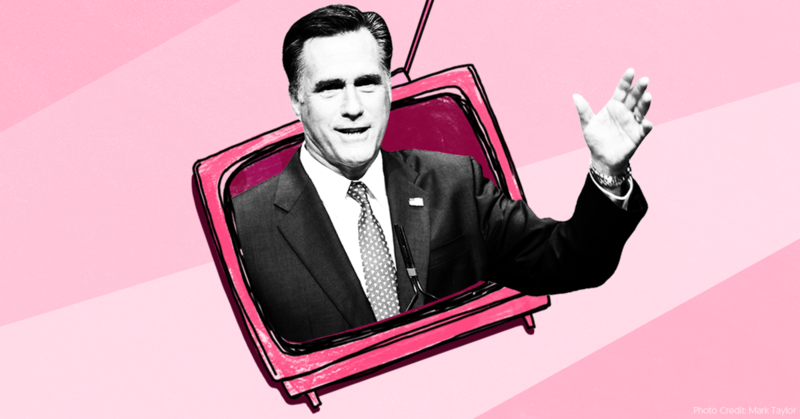 CNN’s New Day and MSNBC’s Morning Joe each spent just over half an hour discussing Romney’s op-ed -- one-sixth of their total three-hour airtime (without even accounting for commercial breaks). Fox & Friends spent 12 minutes on the topic. In total, CNN spent roughly 57 minutes discussing Romney’s op-ed, MSNBC spent almost 51 minutes, and Fox News spent approximately 25 minutes on the topic during the six-hour period Media Matters examined. That is an exceeding amount of coverage for an op-ed from an incoming senator, even when that senator is Mitt Romney. This isn’t to say that the op-ed isn’t newsworthy at all, but given that Romney and Trump have been squabbling back and forth for years, it’s not particularly notable. And if Sen. Jeff Flake (R-AZ) is any indication, being a Republican senator critical of Trump oftentimes amounts to a lot of talk and no action. 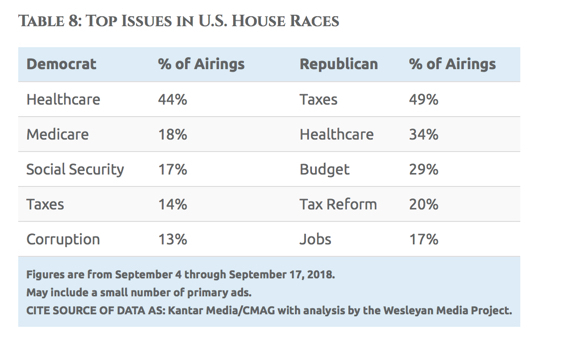 As 2019 begins and coverage ramps up for the 2020 presidential election, it’s important that cable news re-examines its priorities and focuses on the issues and policy topics that matter to Americans -- not the insults and meaningless fights between politicians vying for their attention. The Daily Beast's Sam Stein: Right-wing fearmongering about immigrants was synagogue shooter's "inspiration"
Joe Scarborough: Trump's midterm strategy is "tearing a page from David Duke's playbook"
Lazy conventional wisdom is running abound in horse race coverage of the upcoming midterm elections. The October 22 broadcast of MSNBC’s Morning Joe devoted a lengthy segment to claims that the Democratic Party has no messaging or, if it does, the message is packaged incorrectly. This evaluation of Democratic Party election efforts is evidence-free -- Democrats have largely coalesced around the issue of health care -- and it is also a gift to the Republican Party, as it plays into the argument that Democrats have no principles or plan for governance. Brzezinski's claim that Democrats have no response to Trump’s midterm rhetoric probably says more about the beltway press -- which tends to cover Trump's every move, at the expense of other topics -- than about reality. 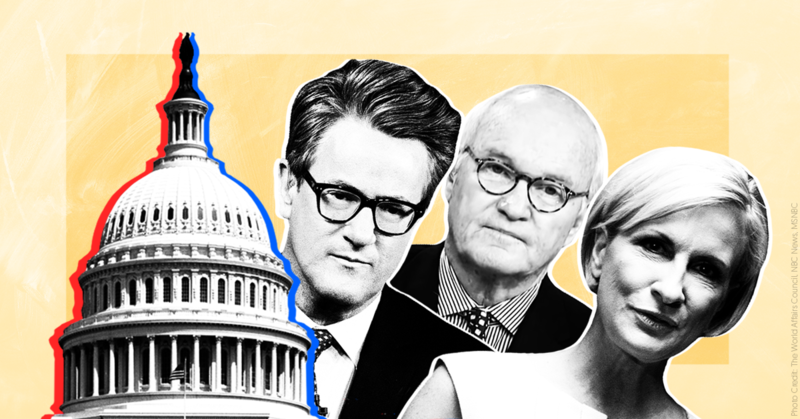 After Brzezinski’s opening, co-host Joe Scarborough and frequent show panelist Mike Barnicle offered a factually incorrect analysis of Democrats’ communication strategy around health care. They both essentially attacked Democrats for not effectively messaging on the issue, even though Democrats are actually messaging in the ways that Scarborough and Barincle said they should be. 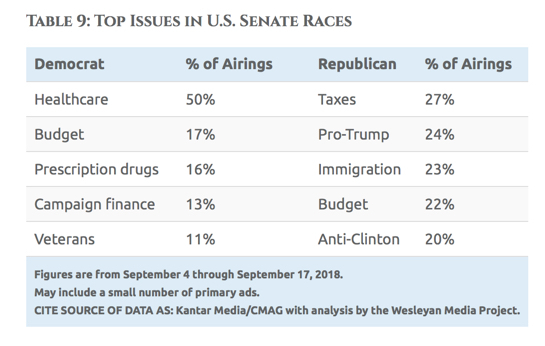 And in the Senate, Democrats are mentioning health care in 50 percent of ads and prescription drugs in 16 percent of ads. Barnicle went a step further, saying of Democrats running for House seats: “All they talk about is impeaching the president, when all they would have to do, as Joe just referenced, is go to the country and say, ‘If you have a child who is sick, you better pray that the Republicans don’t take control again because your child will be in severe danger of losing health care.’” But as the Weslayan analysis showed, in the House, Democrats are running on health care, not impeachment. There is really no comparison between Republicans and Democrats engaging in fearmongering as an election tactic. For weeks, Trump, the GOP, and its conservative media allies have argued without evidence that the Republican supporters are in danger of being killed by angry mobs of Democrats. And now Trump and his allies are coalescing on racist messaging that a caravan of migrants from Central America is poised to invade the U.S. While examples of divisive Democratic messaging can certainly be found, two of the party’s most high-profile candidates -- Texas Senate candidate Beto O’Rourke and Florida gubernatorial candidate Andrew Gillum -- have made aspirational messaging about healing political divides in the U.S. a primary argument of their candidacies. Horse race punditry is often shallow on election coverage, but analysis should not be so poor that it is clearly at odds with reality. During the match, chair umpire Carlos Ramos repeatedly penalized Williams. 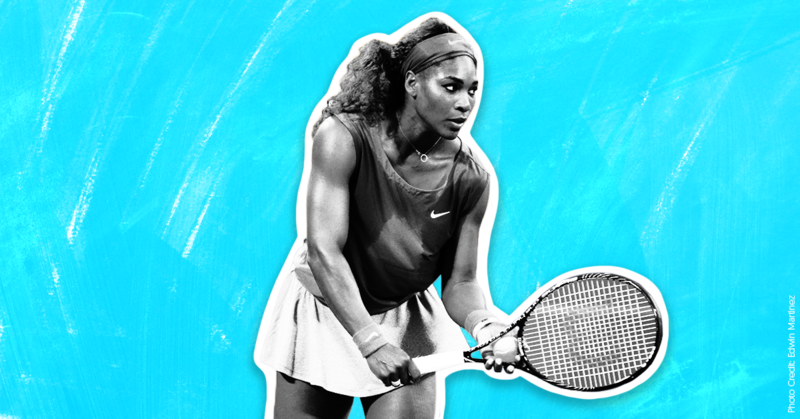 Many in the media and on social media platforms have noted the gendered and racist nature of the violations against Williams. Some pointed out that male players have rarely been penalized for similar actions or for showing emotion on the court. Unfortunately, cable news channels have often failed to seek out diverse perspectives, and their coverage has suffered as a result. 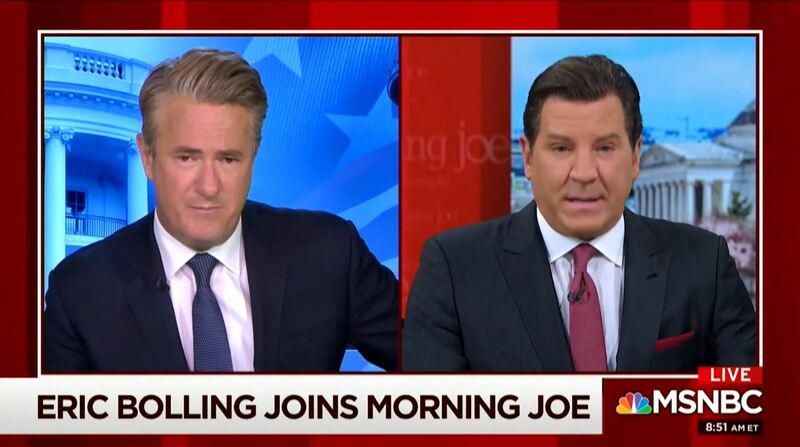 Former Fox News host Eric Bolling, who was fired last year, appeared as a guest on the July 23 edition of MSNBC’s Morning Joe to promote his new CRTV show. In 2017, Bolling was fired from sexual misconduct hub Fox News after HuffPost reported he had sent an “unsolicited photo of male genitalia via text message” to at least three Fox colleagues.Despite this alleged sexual misconduct and a long record of pushing bigotry and promoting conspiracy theories, Bolling just got a new show on Mark Levin’s CRTV, home of like-minded bigot and misogynist Gavin McInnes. Bolling’s return to the airwaves is part of a larger trend of wealthy media men reported for sexual misconduct who are being allowed to make comebacks they have not earned. On his show, Bolling is unsurprisingly already getting cozy with other pro-Trump sycophants.